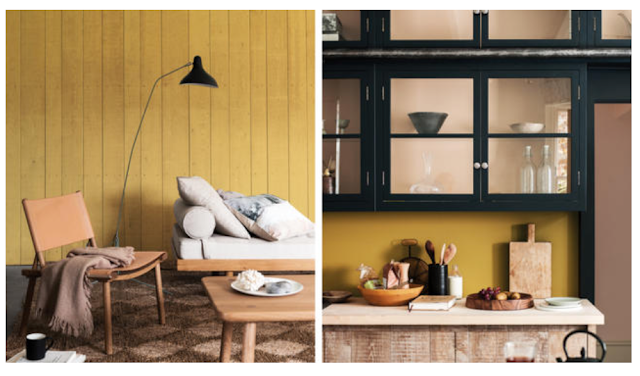 So, everyone has gotten into the 'Color of the Year' game. 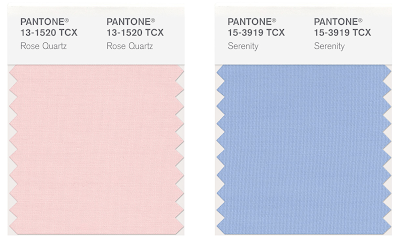 And the grande dame of them all is Pantone, with their announcement today. It looks like they're thinking baby. Because for the first time ever, they have launched 2 colors in one year. Pink and Blue - or more accurately Rose Quartz and Serenity. 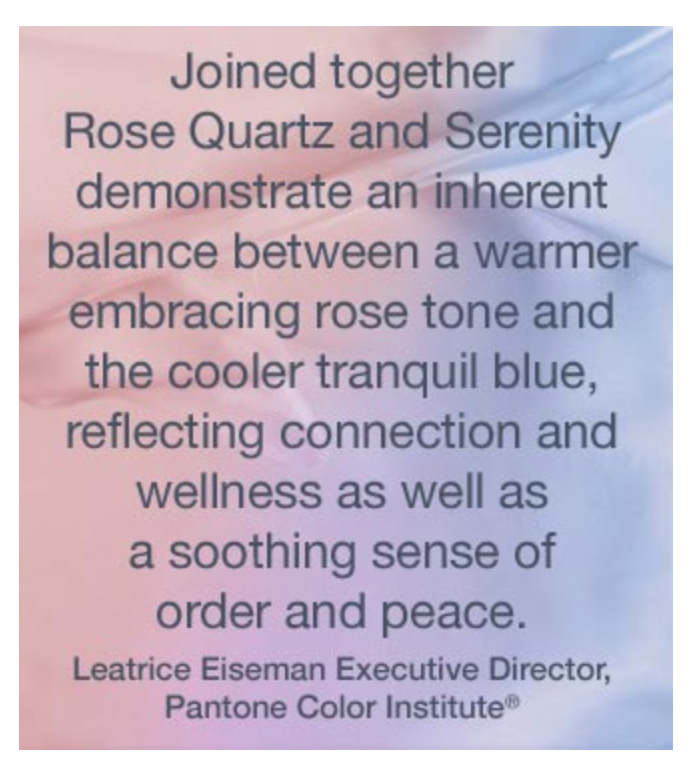 But not so fast says Pantone: 'Rose quartz is not baby pink, it doesn't have that wimpy feel' per Leatrice Wiseman, who is the executive director of Pantone's Color Institute. It is a BIG departure from the past few years. as you can see below, pastels haven't been picked in a long time. And there is something fresh and pretty about them. They will drive a lot of product offerings in the next year or so, so keep an eye out. But lots of other companies are getting into the CotY game. 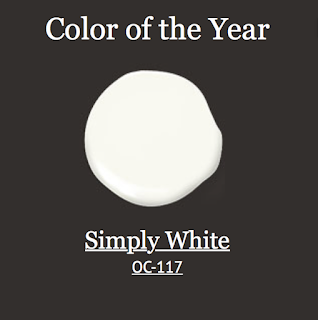 Benjamin Moore's pick this year - Simply White. Wait, is that even a color??? I'll let you decide, but it does look nice mixed with wood tones. 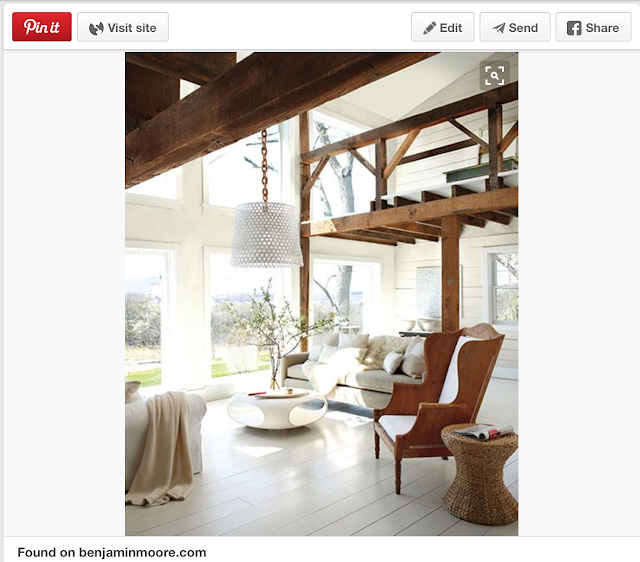 I added this to my Pinterest page the other day - don't you love the antique wood tones against that white? 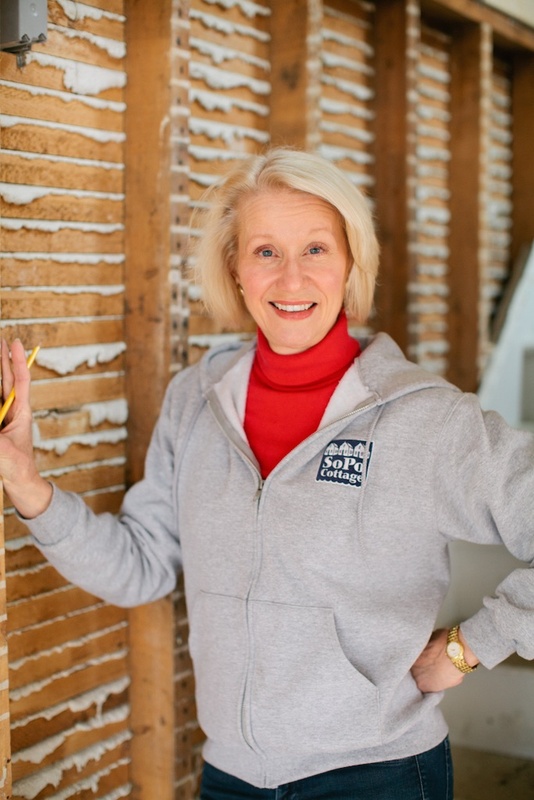 Not to be outdone, Sherwin Williams chose Alabaster. Hmmm..... maybe they both decided white is the best? Interesting that they both chose a white neutral in the same year!! Accident? Or planned? And since I'm living in Europe, I'll share the CotY from the biggest paint company here - AkzoNobel (Dulux, Sikkens, etc) and they picked Cherished Gold. Interestingly, shades of gold are the biggest sellers in the entire world. So maybe they're onto something. So. Do you love any of them? Do you hate them? I'd love to hear your thoughts! Pink and blue, been there done that. In the 1950's when I was born. I like the whites, not a fan of gold even though I will admit I ended up with some of it in my house. Or something like it. 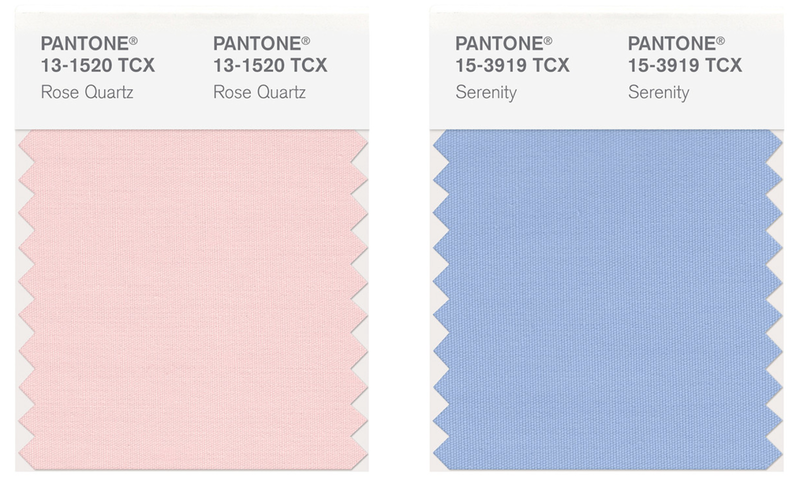 I look at that pink and blue and feel like I've gone back in time to about 1991 when those colors dominated my house. Exactly!!! 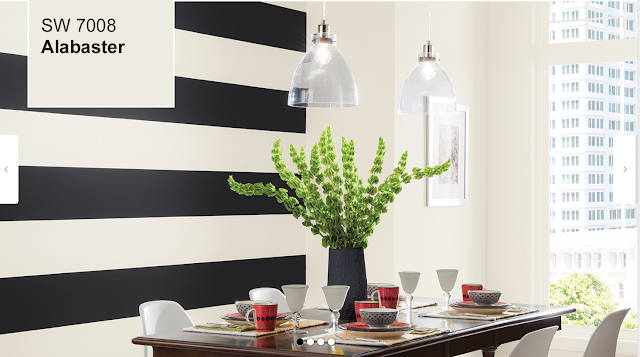 I did our dining room in slightly darker shades in 1993! When I saw the colors this morning it was as if they can't decide if "It's a Girl" or "it's a Boy". Neither color does anything for me. Simply White speaks to me. I'm leaning towards the whites for our next project! And then add color with accessories!